What networks may require special testing. 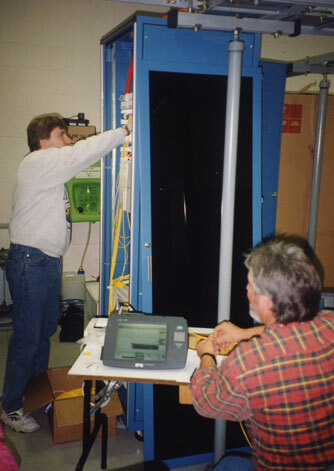 What other fiber optic components need testing? How does on test a complete fiber optic network? Why is troubleshooting so difficult-or is it? 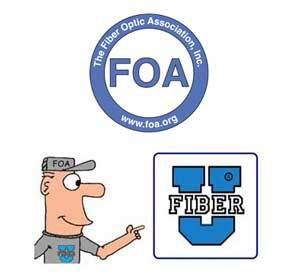 What do you need to remember most about fiber optic testing? So far, we've mainly concentrated on testing the fiber optic cable plant. However, other components and systems require testing also. Patchcords, for example, are often a source of problems in connecting and operating networks. If you work with communications systems, it's important to learn how to troubleshoot the active electronics too. In labs, you may be faced with testing fibers, connectors or splices. All these are straightforward testing issues and will see how they are similar to what you have learned before. Read everything in the FOA Online Guide about test. If you have a CFOT and appropriate experience, this course will prepare you for the FOA CFOS/T specialist certification. After you complete the Fiber U Fiber Optic Testing online self-study course, you can now take an online exam and, when you pass the exam, get a "Certificate of Completion" for this course. You should complete all lessons including taking the quiz ("Test Your Comprehension") at the end of every lesson. When you think you are prepared, you can take an online exam for a nominal fee ($20) which will give you a "Certificate of Completion" for this course.